Hankevych, Lev [Ганкевич, Лев; Hankevyč], b 1 June 1881 in Staromishchyna, Skalat county, Galicia, d 14 December 1962 in New York. Political figure, publicist, and attorney. In the early 20th century he was active in socialist circles in Galicia, heading Moloda Ukraina (1901–3) and working with the committee in exile of the Revolutionary Ukrainian party in Lviv. He also co-operated with the Ukrainian Social Democratic Workers' party, making illegal trips to Russian-ruled Ukraine. During the First World War he collaborated with the Union for the Liberation of Ukraine and was its emissary in Bulgaria. In 1918 he was a member of the Ukrainian National Rada of the Western Ukrainian National Republic and one of the leading members of the Ukrainian Citizens' Committee. 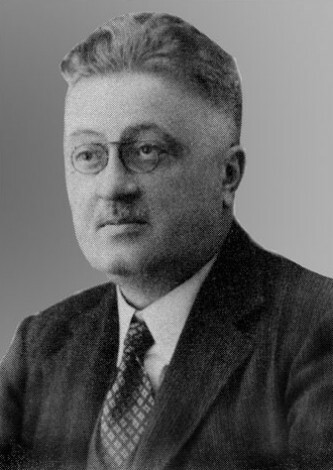 Hankevych was an especially prominent activist in the Ukrainian Social Democratic party (USDP) and head of its executive in 1921–3 and 1930–4. In the 1930s he gained renown as the defense counsel in political trials of the members of the Organization of Ukrainian Nationalists and the Ukrainian Military Organization in Polish courts. He was also a president of the Union of Ukrainian Lawyers in Lviv and vice-president of the Lviv Bar Association. In 1944 he immigrated to Munich and later to New York. He contributed to Pravnychyi vistnyk (1910–13), coedited Vpered (Lviv) (1918–22), the journal of the USDP, and wrote publicistic essays on the history of Ukrainian socialism.